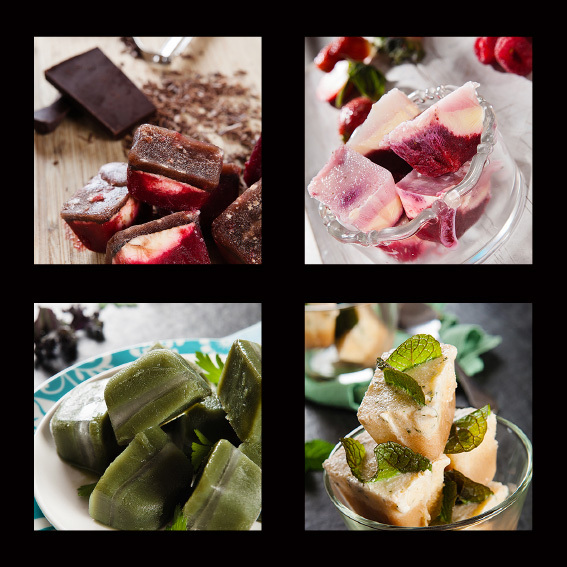 Home » Food photography » New ‘Pods’ cookbook completed! 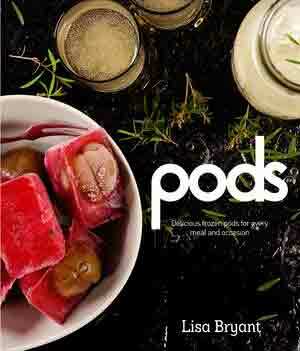 A few weeks ago I was approached by a Sydney food publisher to photograph a cookbook for Lisa Bryant, titled ‘Pods’. 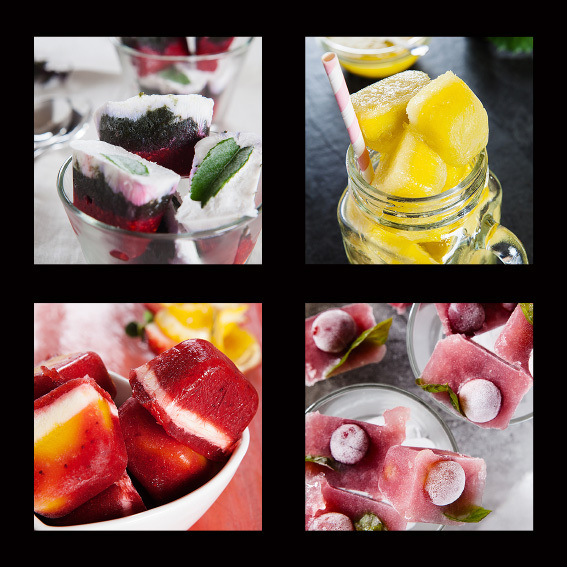 Lisa has created a wide range of frozen ‘pods’, which are essentially ice cube infusions. 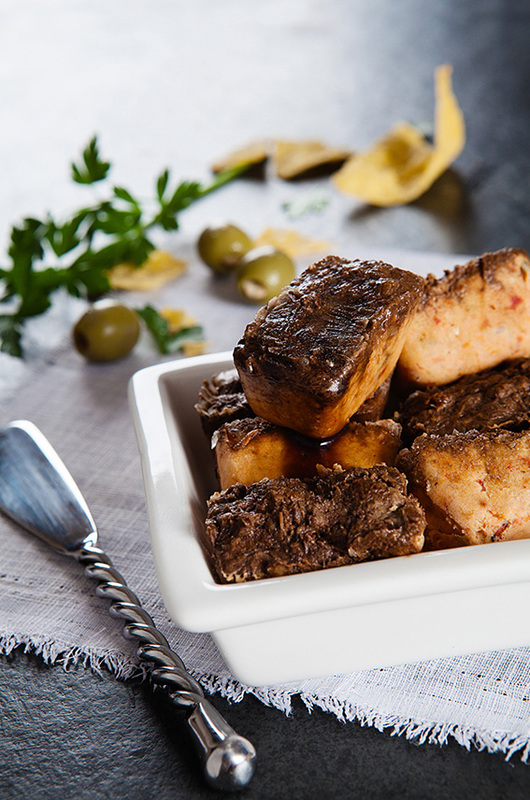 They range from curry starters consisting of herbs and spices to throw into a curry pot, to alcoholic ice cube pods for cocktails and fruit-infused dessert pod treats. They’re a great idea for busy people who want a frozen stash of meal starters, ready to go. 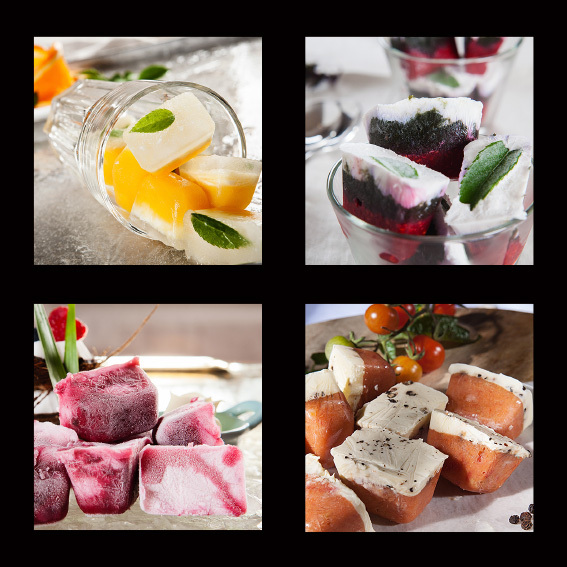 Of the 120 recipes featuring in the book, I was asked to photograph 40 of Lisa Bryant’s creations for the image content. For this food shoot, I enlisted the talents of Pete May – a very skilled food stylist who works in the the Gold Coast & Brisbane region. 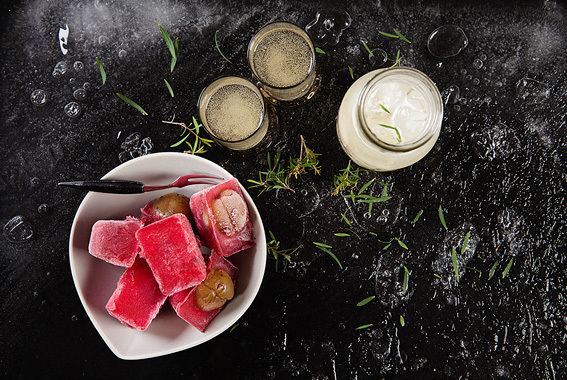 It was going to take a man of Pete’s talent to devise 40 different ways to shoot ice cubes and make all of them interesting and unique food shots! During pre-production discussions, I suggested that we fill a baking tray with water and freeze it. This provided an excellent small ‘table surface’ to shoot a number of the shots on, which also allowed me to light an additional glass tray from underneath, giving a dynamic, illuminated texture to sit the pods on, while also keeping them cold. Pete’s terrifyingly vast range of food photography props and textiles provided relevance and character to the art direction and our client’s were immensely grateful and happy with the work – which is always so nice to hear! The book looks excellent (from all reports) and has been bumped-up from national release to international release for Christmas 2015. A great result.